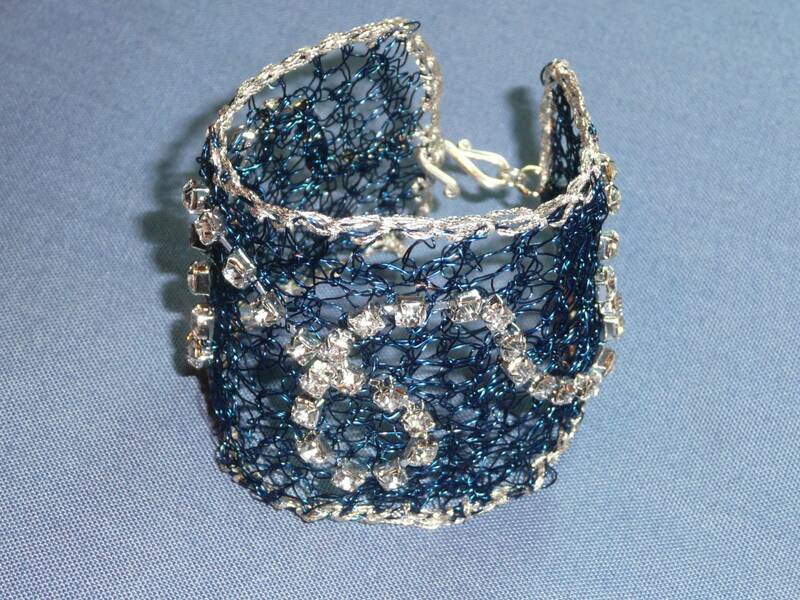 Hydra - Statement crochet wire cuff bracelet in blue and silver tones. 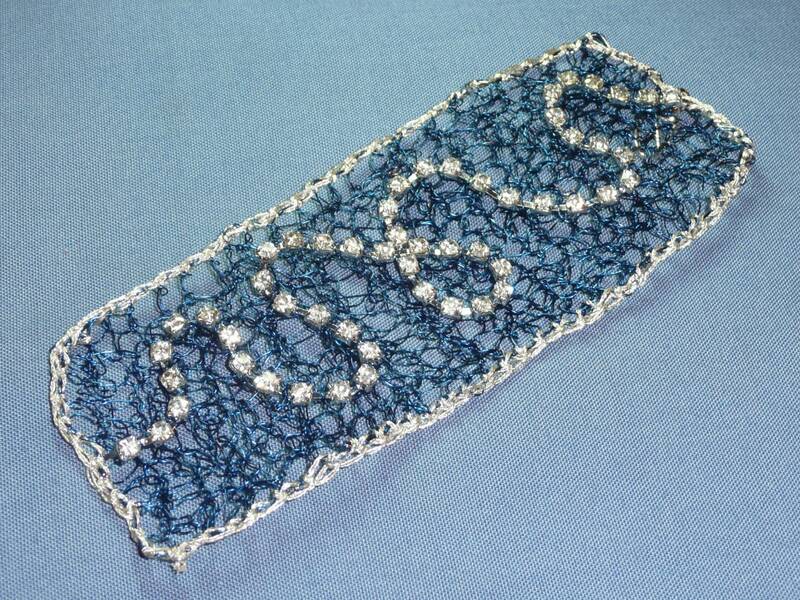 At 6 1/2 inches long, this luxury cuff bracelet has been crocheted in blue wire and trimmed with silver thread and rhinestones to achieve a sparkling effect. 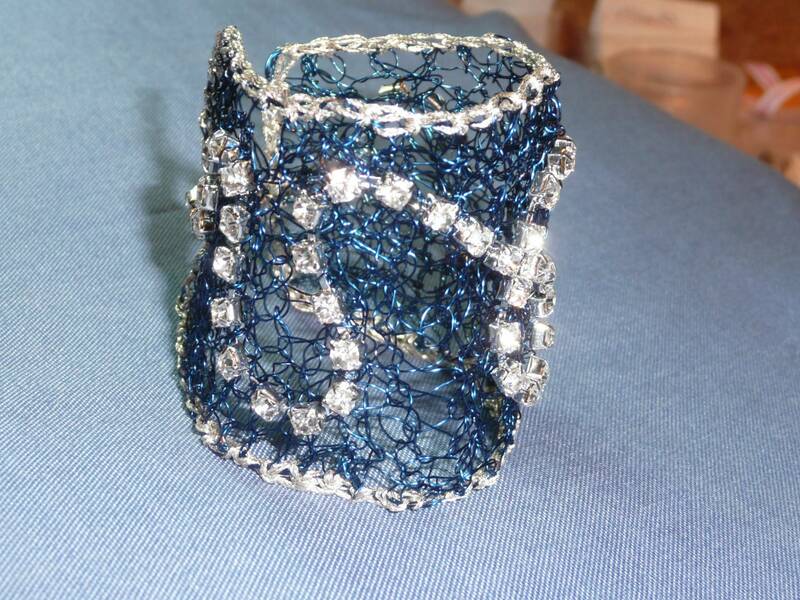 Everyone will admire the intricate work and the elegant results. Accepting custom made orders. Please contact me.